Il Fantasma dell'Opera continua ad affascinare il pubblico al Her Majesty's Theatre nel West End di Londra. Lasciati incantare dalla sontuosa colonna sonora, dal romanticismo ossessivo e dalla storia senza tempo di seduzione e disperazione. Tratto da un romanzo francese scritto da Gaston Leroux, Il Fantasma dell'Opera è un musical mozzafiato che racconta la tragica storia d' amore di una giovane e bellissima cantante lirica di nome Christine e di un genio musicale noto come il Fanatsma - un uomo fisicamente deformato e mentalmente disturbato, uno degli architetti che hanno partecipato alla costruzione del teatro dell' opera. Vincitore di sette Tony® Awards 1988, tra cui il Miglior Musical, il capolavoro di Andrew Lloyd Webber oltre ad essere il più lungo musical della storia del Teatro, è un fenomeno internazionale che smaschera le emozioni come nessun altro spettacolo può fare, lasciando il pubblico ovunque senza fiato. Potrete scegliere tra le opzioni di posti a sedere Band 1 (Stalls/Circle), Band 2 (Band 2 (Rear Stalls/Cirlce) e Band 3 (Upper Circle/Balcony) per lo spettacolo all' interno del Teatro di Sua Maestà. You will be allocated to the top price category seats in the house (ground floor row 5-9 or the first floor row 1) on select days and times. At least 30 minutes before the show begins, present your VELTRA voucher at the Box Office to claim your ticket. Sit back and prepare to be entertained by top-notch performers. Musically scored by legendary composer Andrew Lloyd Webber, the theatrical masterpiece will mesmerize you with jaw-dropping scenes and special effects. See these elements magically combined to bring the tragic love story to life. Headlined by Ben Lewis in the title role along with Kelly Mathieson as Christine Daae, the Phantom of the Opera offers unforgettable acts harmonized with songs made known by this classic, such as "The Music of the Night" and "Masquerade". Special discount deal for weekday evening and Saturday matinee shows only. 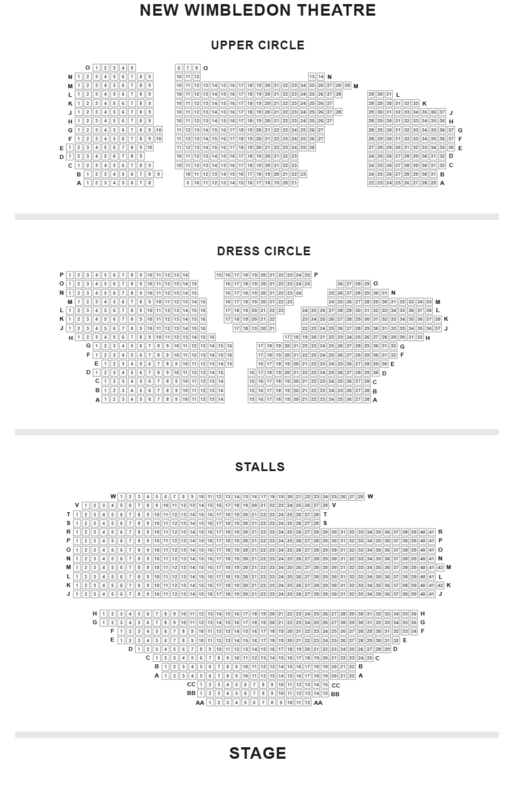 You will be allocated to the top price category seats with a clear view (ground level or the first level of the theater). These seats are ideal for the special occasions, including weekend evenings. Good value choice on the ground level, the first or the second level rear end of the theater. Available for all scheduled performances, including weekends. The best-priced tickets for all scheduled performances, including Friday and Saturday evening shows. Present your VELTRA voucher at the box office and get your ticket at least 30 minutes before the show begins. Online rates may differ from theater prices because of the advance reservation fee. There is no dress code at the performance venue. You will be allocated to the best seats available at the time of booking, including the Top Price Category seats! You will receive a voucher with a confirmation email. Please exchange your voucher for your tickets at the box office 30 mins before the show begins. Is this activity wheelchair accessible? Yes, most theaters are wheelchair accessible. Please inform VELTRA in prior to your participation. Any changes made after the booking confirmation date will be subject to a charge of 100% of the total amount. You cannot change your standby request.